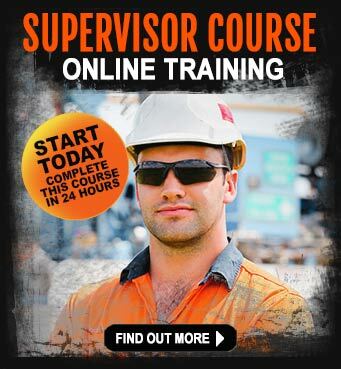 One of the proven methods of getting mining jobs at BHP Billiton is to learn as much as you can about the company. Of course, many people wait for jobs to be advertised then send in their applications. What if there was a smarter option to beat other job applicants? In 2013, Australian mining companies were mulling around like a bear with a sore head. They were pondering the slowdown in China, fighting lower commodity prices and calculating just how many workers they needed to keep mining operations in the black. This created a less than positive outlook for the entire mining industry in Australia and BHP Billiton jobs suffered as the company took drastic measures to prepare for the future of its mining and resource sector businesses. Prices of raw materials mined in Australia soared as Asian countries were prepared to pay any price to get their hands on continuous supplies of coal and iron ore in order to keep their industrialisation and urbanisation projects on target. And so, like all good things, there is a time when the fun stops and reality kicks in (sad, but true). This is what happened to the Australian mining industry – the brakes were applied and a lot of people never saw it coming, especially the workers who relied on very high wages to fuel their lifestyles. The iron ore-rich state of Western Australia forged ahead at a blistering pace, stripping the capital city of its unskilled and semi-skilled workforces. The appeal of truckloads of cash and deep pockets, was a magnet for anyone who wanted to work in the mines. Mining companies opened up the doors and there was a jobs bonanza – until the sound of screeching brakes caused a skid of apocalyptic proportions. For many people who dreamed of high-paying BHP Billiton jobs, all seemed lost as daily reports seemed to hammer home repeatedly that the resource sector in Australia was losing its appeal and that the ‘wheels had fallen off’. Every industry goes through cycles of activity where there is unprecedented demand and phenomenal growth that creates a ‘super-cycle’ of activity. As the mining industry pushed and scraped its way through 2013, capital expenditure was slashed and multi-billion dollar mining projects were off the table. Black clouds hung over the entire industry and as we have seen, there were big changes that had to be made. The biggest changes we have seen being implemented by Australian mining companies like BHP Billiton, Rio Tinto and Fortescue Metals Group are in their resolve to trim as much operational cost from their core mining operations as possible. This has created a new paradigm in the mining and resource sector, where there are two stand-out changes sweeping the industry – efficiency and productivity which are directly related to BHP Billiton jobs. Developing nations around the world still have a need to import Australian coal, iron ore and other precious commodities – it’s just they don’t need as much of it and they’re not in a hurry to get it. With the ever-present threat of competition emerging from other iron ore and coal mining countries, Australia has been forced to get its act together. As we said earlier, all of the mining companies in Australia are facing the same issues of high costs, a high Australian dollar, growing international competition and falling commodity prices. All of these elements have resulted in reductions in BHP Billiton jobs which has in turn created an air of subdued outlook across the industry. However, mining jobs won’t disappear, there will always be BHP Billiton jobs – it’s just that the old ways of finding jobs have changed. Those people who are asking themselves “how to get a mining job with no experience”, can take advantage of technology and should be prepared to do a little bit of ‘information mining’ of their own. By taking control of the ‘mining jobs discovery’ process themselves, people who hope to find a job at BHP Billiton can expect to gain a massive advantage over others who simply sit back and wait for mining jobs to be advertised on jobs boards like SEEK. At iMINCO, our entire editorial staff spend their days and nights (even weekends), reading through hundreds of mining news articles, reports, features, jobs ads, blog posts, tweets, facebook posts, LinkedIn and Google. 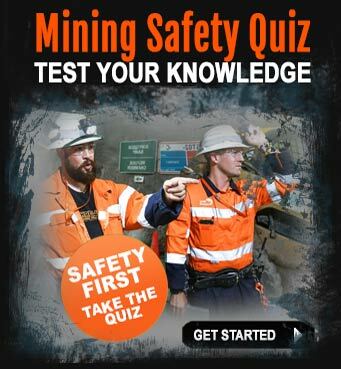 We know mining in Australia and our job is to show people who are thinking of pursuing a career in the mining industry where to look for the right information to help them get started. The focus of this article is going to BHP Billiton who are a major force in mining in Australia. With mining assets spread across the country, BHP Billiton are a preferred employer of choice. 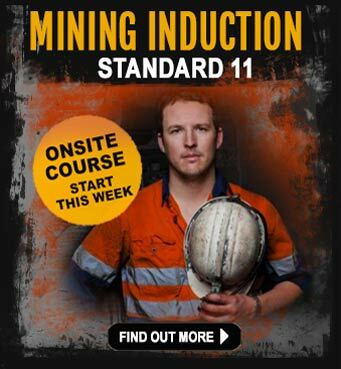 Steps to a mining job with BHP Billiton begin with building knowledge of the mining company. The history and overview of current mining activity at BHP Billiton give us some incredible insights into the space they occupy in terms of global markets and how they are positioning themselves for the future. The following information is meant as a guide only and not to be taken too literally. Wherever possible, we thoroughly encourage people who want a BHP Billiton job to read everything they can for themselves. Research allows an individual to form their own view of the company and calculate what job opportunities there are for themselves in terms of their education, skills, qualifications, experience and mindset. It’s never too late to create a solid career in the mining industry with BHP – it all starts with you. One of the mining sector`s most respected fund managers has recommended to mining companies they resist the urge to spend billions on expensive acquisitions and instead, maintain a focus on increasing efficiencies, reducing costs and returning dividends to their shareholders. The World Mining Fund has stated that the big mining companies cannot afford to throw away billions on huge new projects, even though the mining and energy commodities market appears to have found its natural level and once again interest in the sector is returning. Global demand for iron ore, coal and copper from China was the mining industry`s catalyst during the frantic period known as the “super-cycle” which started to subside in 2013. However, the World Mining Fund indicated that the steadier rates of growth in the world`s second-largest economy will now create more stable demand for the market as a whole. “Chinese demand continues to dominate commodities markets and we don`t see this changing given the government`s forecasts for 7.5 per cent GDP growth this year,” said Fund Manager Evy Hambro. Mr Hambro’s remarks come as BHP Billiton, the world`s largest integrated mining company, considers a potential $23 billion demerger that would involve splitting up its non-core nickel, manganese and aluminium units into a new mining company. BHP told the markets that they wanted to simplify their portfolio and analysts have targeted assets that BHP could sell off, including $19 billion from aluminium, manganese and nickel assets, with a further $8 billion in coal mines, $3 billion in copper and $5 billion in petroleum assets. Andrew Mackenzie, who heads BHP, which has a current market value of about $200 billion, says BHP has intensified its resolve to trim expenses and offload non-core assets so it can look to its other mining operations like iron ore, copper, coal and energy. Two years ago, BHP Billiton was the first big mining company to start squeezing costs and the rewards are starting to show. The big mining company is on target to trim $5.5 billion in costs by June 2014. It’s estimated their mining and resource sector operations cost around $50 billion, so 10 per cent is a pretty hefty chunk. In the six months ending in December BHP Billiton reported record production of iron ore, coal and hydrocarbons. Cash flow increased by $4.7 billion from the previous year. This has allowed BHP Billiton to reduce its borrowing obligations. What this means for mining sector investors is that the Australian mining industry could be set to transition into an income based model. Always on the lookout for the proverbial ‘spanner in the works’, one of the risks to future plans by BHP Billiton (and more BHP Billiton jobs) could be triggered by a dip in commodity prices, especially if demand from China slows sharply. The iron ore price has fallen 12 per cent or thereabouts in 2014 to around $117 per tonne. BHP Billiton makes about 50 per cent of its operating profits from iron ore mining and a negative correction in the price of iron ore could stall future plans. The profitability of BHP Billiton is linked mostly to the commodity price. BHP Billiton jobs are sustained by running a profitable mining operation so when prices of iron ore tumble – the rumble can be felt by many mining contractors whose very jobs are dependent on price fluctuations. It’s estimated that for every $1 price rise, or fall in the iron ore price, BHP Billiton will gain or lose over $150 million profit. Considering the price changes of iron ore recently, that could mean over a billion dollars worth of profit wiped out in a short space of time. All employees who work in the mining sector should be aware of the rise and fall of commodity prices as it does have a relational effect of jobs in Australian mines. What many job seekers fail to realise is, there is a wealth of information waiting to be discovered on the internet that gives mining job seekers an incredible insight into BHP Billiton and can offer some solutions on how to avoid the effects of commodity price fluctuations. Building a picture of BHP Billiton is relatively easy by conducting research yourself. Jobs with BHP Billiton are becoming more competitive – but don’t let that deter you from looking to the future with absolute positivity. 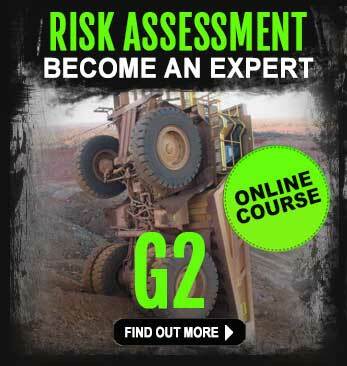 The only limitations lie within yourself and your own perceptions about the mining industry. Discovering the current facts and figures about BHP Billiton will open up a whole new world of possibilities – education is the key to unlocking a mining career. Get the latest BHP Billiton jobs outlook when you sign up for iMINCO Project News. When we say ‘sign-up’ – don’t worry, its not a paid subscription or anything like that. Project News is a free mining and resource sector information news service that is delivered to you via email every week. It’s packed with the latest mining information and contains links to mining jobs, articles and news to help find jobs in the industry. Start building your mining knowledge today . . . there are more than enough BHP Billiton jobs to go around!